Do you live in or near Macon? Help with the RiversAlive Cleanup on Belvedere River- March 2nd! 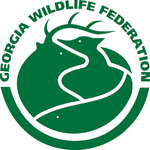 Have you signed up for GRN’s Georgia Water Trails Newsletter? Check it out! If you haven’t already signed up for our 2013 Georgia River Challenge – then what are you waiting for? It’s a great opportunity to share the experience of paddling with folks who would otherwise not go on their own! Also make sure that the 4 Seasons Hidden Gems Paddling trips are on your calendar. This will be an awesome opportunity to explore a hidden gem in 4 different watersheds which you’ve more than likey never seen before! As always, please don’t hesitate to give me a call or come by for a visit if you have any questions, concerns, need resources, or just want to chat about rivers. Trail Developments and Trails in the News! The 23.8 mile Dub Denman Canoe Trail located on the Tallapoosa River is soon to be officially on the map after years of planning. Five sites along the Tallapoosa River are being considered for trail access, including two on county property and three on private property. Two of the three access point require stream buffer variances which are awaiting approval. 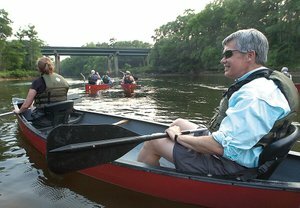 Tallapoosa Planning Coordinator, Patrick Clarey, explained that the city has been moving forward with two of the original five proposed kayak and canoe launch sites with the help of a $51,150 Georgia Department of Natural Resources grant awarded to the county. The launch sites will include concrete staircases and wooden canoe launches, where needed, as well as gravel parking lots, trash receptacles and signage. 2. Visit the Ocmulgee Heritage Trail and Sit with Otis Redding! 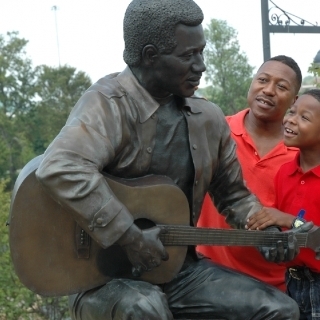 Legendary musician Otis Redding is memorialized in a life size statue at beautiful Gateway Park, trailhead of the Ocmulgee River Heritage Trail. Sit with him on the dock, hum your favorite Otis tune, picnic on the grassy hillside overlooking the river or drop a line for the catch of the day.Check out the Macon website for more information about the Ocmulgee Heritage trail as well as on our Water Trails Website. Share the joy of paddling Georgia’s rivers with friends and family who otherwise would not go on their own! 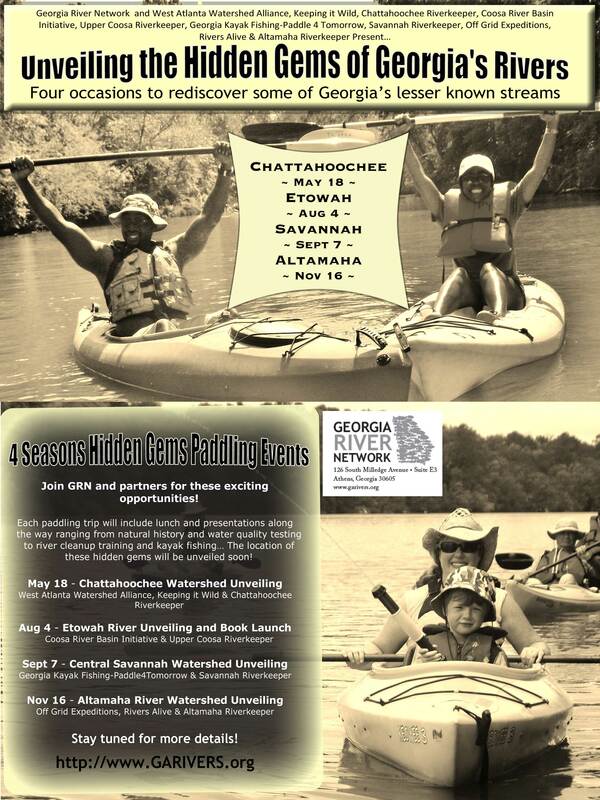 Georgia River Network is encouraging river lovers to celebrate Georgia’s rivers – from wild places to urban waterways – by taking 13 people, who might not otherwise go on their own, paddling in 2013. 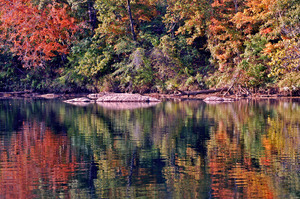 The goal of this year’s ‘Take 13 People Paddling in 2013’ challenge is to promote Georgia’s growing water trail movement and send more people to the Georgia Water Trails Website to identify water trails to paddle, locate outfitters, find organized paddling trips or plan their own trip with friends and family who have little to no paddling experience. To join the list of paddlers participating, just send an email to gwyneth@garivers.org with your name and address to sign up. There are lots of upcoming paddling trips all over Georgia. To learn more about these events see our calendar. To have your water trail events added to the calendar, just send the details with a note to info@garivers.org. 1. Have you Gotten Wild and Scenic yet? Well Get Ready for March 3! Get your tickets NOW for our 6th Annual Wild & Scenic Film Festival. They are selling FAST- in fact, we’ve already sold nearly all of our available tickets, so get your ASAP. 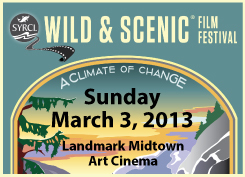 The festival takes place at Landmark Midtown Art Cinema in Midtown Atlanta. Attendees will enjoy complimentary SweetWater beer (for patrons 21-plus with a valid ID). PURCHASE TICKETS HERE. Get inspired by the following film trailers and well see y’all there! Carbon for Water, about a practical solution in providing clean water in Kenya’s Western Province; Julio Solis: A MoveShake Story, about a dedicated sea turtle preservationist in Mexico; and How the Kids Saved the Parks, about a grassroots effort to keep all of California’s state parks open. 2. 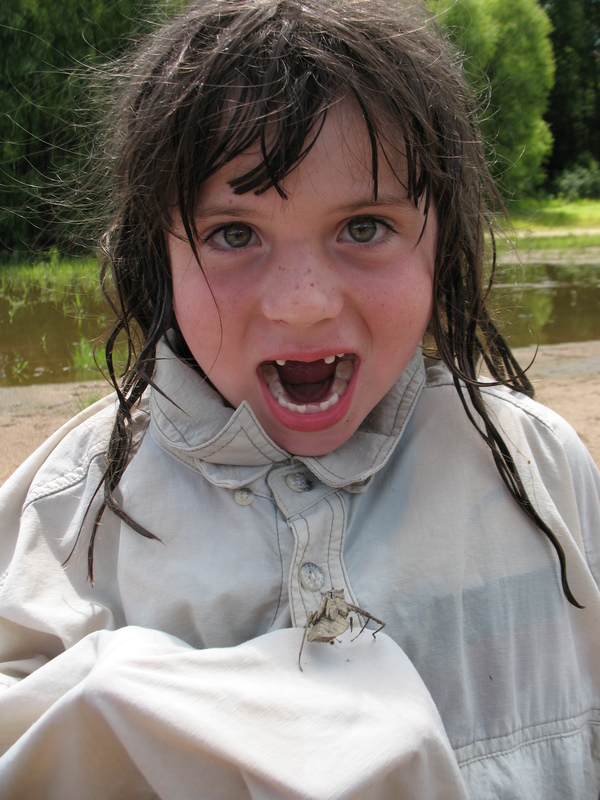 Weekend For Rivers Registration NOW OPEN- Learn about The Value of Water! 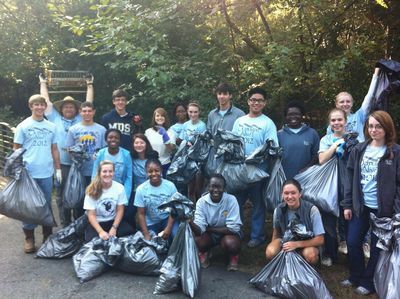 Weekend for Rivers will take place on April 6-7, 2013 at the Chattahoochee Nature Center in Roswell, Georgia. Click here to Register and learn more and remember early bird registration ends March 1st! Each paddling trip will include lunch and presentations along the way ranging from natural history and water quality testing to river cleanup training and kayak fishing. The location of these hidden gems within the following watersheds will be unveiled soon! Stay tuned for more detail. Announcing the Georgia River Network Guidebooks series! 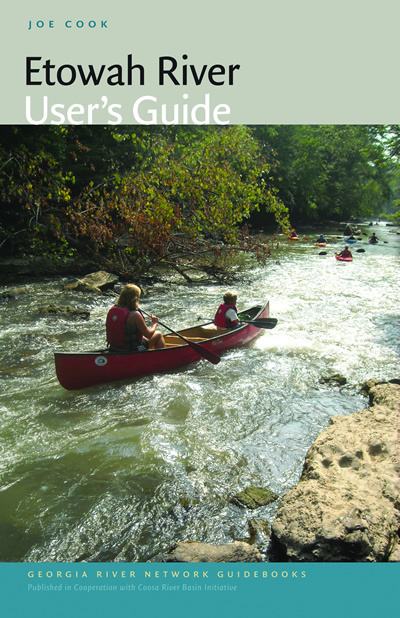 The Etowah River User’s Guide is the first in a series of books to be published by Georgia River Network and the UGA Press in May 2013. 1. Who Wants an Interactive Water Trail Map for their Water Trail? The Georgia Environmental Protection Division Outreach Unit and Georgia River Network are working in partnership to develop web-based interactive maps for Georgia‘s water trails. Our goal is to create an interactive map for all water trails throughout the State.Water trails that satisfy the GRN Clearinghouse Criteria will be included on the map as established water trails. We will have separate map layers for those water trails that are still in the conceptual and developing stages. If you represent a Water Trail that has been established or is in the developing stage please email gwyneth@garivers.org so we can collaborate on data collection and verification. 2. Find out How to have a National Water Trail Designated in your Community! You can now experience the new National Water Trails System through an interactive website that connects users to rivers and waterways through stories and tools. Water trail managers can apply for designation through an easy online application, and visitors can learn more about designated trails through a photo gallery, dynamic stories, and videos. 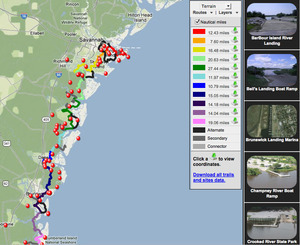 An interactive map and new search functions make it easy for users to find national water trails throughout the country. Visit the new site at www.nps.gov/watertrails. 3. You May Know ‘Trails don’t just happen’ but Public Users May Not-Use Signs! The message that “trails don’t just happen” is vital in nurturing public support for the funding sources behind trails. The source of funds for land acquisition as well as facilities is also important. Some programs are specific to a locality, such as sales tax support. Other projects are funded by state sources, such as lotteries. Many trails are partly funded by grants from federal funds, such as the Recreational Trails Program and the Land & Water Conservation Fund. 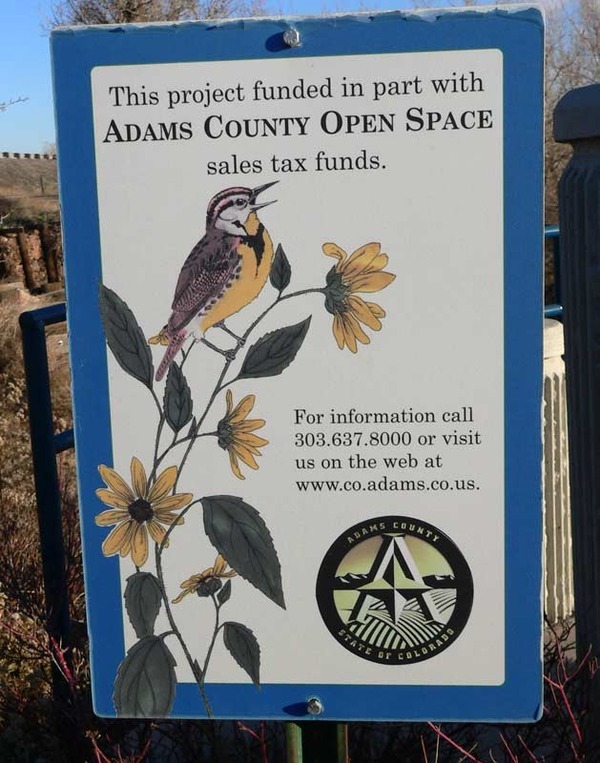 Check out our Water Trail Website for Signage ideas and see a gallery of photos of funding signs from the National Trails Training Partnership. 1. Get Fit on a Stand-Up Paddle Board – Whether You are Looking for a Calm Relaxing Experience or a Hard-core Workout! Stand-up paddling exercise has been described as everything from great, fun and exciting to calming and intense. 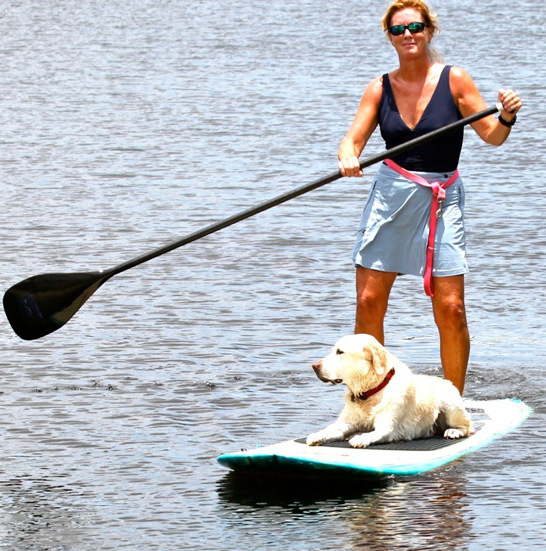 Stand-up paddle boarding is an ancient form of surfing, yet it is most widely enjoyed on relatively flat water. 2. Ever Tried Emptying a Swamped Canoe When You are in Deep Water? Check out this short video and learn new techniques that you can add to your list of groovy paddling skills. 3. Have You Entered a Photo for GRN’s Monthly Photo Showcase and Staff Pick? Each month we will have a different theme and invite you to send us a photo that you think best represents the theme. We will showcase everyone’s photos on our website and social media and one photo per month will receive the illustrious title of ‘GRN Staff Pick of the Month’ and the chosen photo’s author will receive a surprise token of gratitude. Watch January’s Photo Showcase HERE. Email your photo to gwyneth@garivers.org and Click here to learn more. How can others can sign up for this water trails list? Visit http://garivers.org/make-a-difference/sign-up-for-info.html and fill out the sign up form. 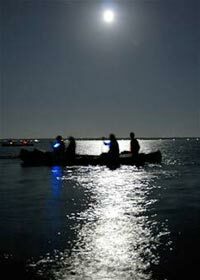 Join Atlanta Area Paddlers for a Moonlight Paddle on Lake Juliette, Saturday, February 23- Tomorrow! View a beautiful sunset over Lake Juliette, weather permitting. Paddle to see Georgia Power’s Plant Scherer all lit up. Have a snack on an island. South on I-75 to exit 185, turn left (East) on Hwy 118 for 10 miles and turn left (North) on US 23, go 1.6 miles to entrance. No flashlights, just glow sticks or headlamps. weekend can be purchased for $25/ticket. Weekend for Rivers is GRN’s Annual Conference and River Celebration event that gives us all a chance to celebrate Georgia’s unique, beautiful rivers through storytelling, partying and paddling! Join us April 6th for a day of inspiration, education and connections with folks who love Georgia’s rivers as much as you! The day will include river-lovers of all kinds expressing their passion for rivers with inspiring presentations and interactive forums that will paint a broad picture of the state of Georgia’s rivers and the people who protect, enjoy and honor them. In the late afternoon, enjoy a stroll around the beautiful Chattahoochee Nature Center or participate in a fun field trip: test out a kayak, participate in a meditation exercise or even try your luck in our Chattahoochee Nature Center scavenger hunt! In the evening, we’ll have a ton of fun at our annual River Celebration Party and then we’ll camp at the Chattahoochee Nature Center (indoor and outdoor camping will be available, Paddle Georgia-style–OR you can just get a hotel room). The next morning, we’ll wake up and paddle a beautiful stretch of the Chattahoochee River! The experience will be as close to the real thing as possible (right down to the bus shuttles, the gym camping and the Satterfield’s catering) for the uninitiated as well as for all you Paddle Georgia fanatics who regularly plead with us to plan more than one event each year. Thanks go to Upper Chattahoochee Riverkeeper, who lead popular trips and events on the ‘Hooch all the time, in supporting us on the paddle. Click here to view the Weekend for Rivers agenda! You can register for Weekend for Rivers 2013 right now! Register online HERE, or if you’d rather fax (706.549.7791) or mail in (126 S. Milledge Ave. Ste E3, Athens, GA 30605) in your registration, you can find a pdf of our registration form HERE. Click here to see who will be presenting at Weekend for Rivers this year. Click here to read up on the kinds of presentations you’ll get to see at Weekend for Rivers. The River Cafe Conversations bring together people from diverse backgrounds and experiences to explore questions that matter in intimate “cafe style” conversations. At tables of 4-6 people, we’ll set the space for you to do your most creative thinking, speaking and listening; taking a deep dive into several thought-provoking questions that have real consequences for the river movement. In these open dialogues everyone’s contribution matters because we know that ideas and passion can emerge from the most surprising places. You’ll move between tables and conversations, meeting new people who will actively challenge your thinking, perhaps sparking an entirely new insight and connection. By sharing our discoveries, we’ll harvest the wisdom of the group and find new ways to tackle the issues that matter the most to us who love rivers. The Outside World and Cedar Creek RV & Outdoor Center will be showing off all kinds of boats on the Chattahoochee Nature Center pond. You can stop by and try one out! Or even buy one! Join us for a wild goose chase around the Chattahoochee Nature Center! Hunt down clues in teams and be the first to get to the end. Win fabulous prizes!!! Two meditation sessions are offered. Participate in one or both. The meditations are designed to be both calming and refreshing for the mind and body. The meditations are suitable for all, with a special welcome to those who have not meditated before. Elements meditation: In this seated, guided meditation, we will use our senses to notice the elements of earth, air, heat, and water as they are present in our surroundings, bodies, and minds. Afterward, join us for the walking meditation, go enjoy the many other offerings, or just relax on the grounds. Walking meditation: We will take a slow, quiet walk along the trails in a contemplative mood. Attending to the senses and our movements, we will silently notice the flow of life in our surroundings, bodies, and minds. While the walk will be silent, we will have an opportunity at the end to share what we observed and learned. Have you ever wanted to just try Paddle Georgia without committing to a whole week? 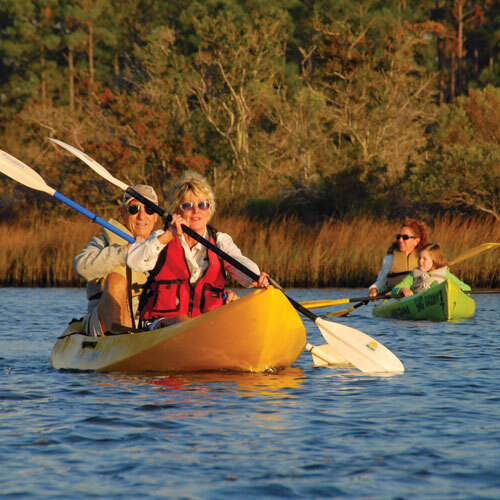 Are you a Paddle Georgia veteran who can’t wait until the end of June to get your fix? Either way, on April 7th, we’re packing everything folks love about Paddle Georgia into one day: the great time on the river, the gymnasium (or outdoor) camping, the bus shuttles–even the same caterer will be the same! We’re paddling 6.5 miles down the Chattahoochee from Johnson’s Ferry to Paces Mill. 8-8:30: Drive to Johnson’s Ferry with your boat. Leave it here, we’ll have a boat guardian watching while you drive your car to the take out. 8:30-9: Drive to Paces Mill, park your car, and take the shuttle back to Johnson’s Ferry. Here’s a video of what you might see! You’ll be able to rent kayaks from the Broad River Outfitters for $30 for the day. More information to come! Join your friends at the Georgia River Network’s Weekend For Rivers Party on Saturday, April 6th at 7pm at The Chattahoochee Nature Center in Roswell for dinner by Satterfields, beer and wine, music by our DJ, a silent auction, our famous Paddle GA Port-Potty-Auction and River Celebration Awards. To buy tickets for the party only, click HERE. Register for the entire weekend if you would like to attend the educational sessions, camp out and paddle on the river the next day. (Heading North from Atlanta or I-285). At the first traffic light after crossing the Chattahoochee River, turn left onto Azalea Drive. At the second traffic light, turn left onto Willeo Road. CNC is located one-half mile on the right. Exit on Northridge (exit #6) and bear to the right, back over the expressway. Immediately after crossing over 400, turn right onto Dunwoody Place. Follow Dunwoody Place until it intersects with Roswell Road (1.2 miles). Turn right onto Roswell Road. At the first traffic light after crossing the Chattahoochee River, turn left onto Azalea Drive. At the second traffic light, turn left onto Willeo Road. CNC is located one-half mile on the right. Exit Northridge Road (exit #6). At the top of the ramp is a traffic light. Travel straight through the traffic light onto Dunwoody Place. Follow Dunwoody Place until it intersects with Roswell Road (1.2 miles). Turn right onto Roswell Road. At the first traffic light after crossing the Chattahoochee River, turn left onto Azalea Drive. At the second traffic light, turn left onto Willeo Road. CNC is located one-half mile on the right. Take Highway 120 (also called Marietta Highway or Upper Roswell Road) east toward the city of Roswell. Cross Johnson Ferry Road and travel approximately four miles to Willeo Road. At a traffic light, turn right onto Willeo Road. CNC is located one mile on the right. The Chattahoochee Nature Center is located on the Chattahoochee River in Roswell and sits on a beautiful site comprised of 127 acres of native plants and gardens that showcase the beauty of Georgia. It has a River Boardwalk, Discovery Center, wetland demonstration gardens and woodland trails that are home to over 50 species of injured, non-releasable wildlife. For 30 years, this facility has continued to grow and reach out to citizens as a place to explore new ideas and expand the awareness of the natural world. If you choose not to camp at the Chattahoochee Nature Center on Saturday night, rooms for the event will be blocked at the DoubleTree by Hilton Atlanta/Roswell at 1075 Holcomb Bridge Road, Roswell, GA 30076. To reserve a room at $79/night, call 770-992-9600 and tell them you’re with Weekend for Rivers. 10 rooms have been blocked for the nights of April 5th and 6th. Click HERE to see the DoubleTree website. 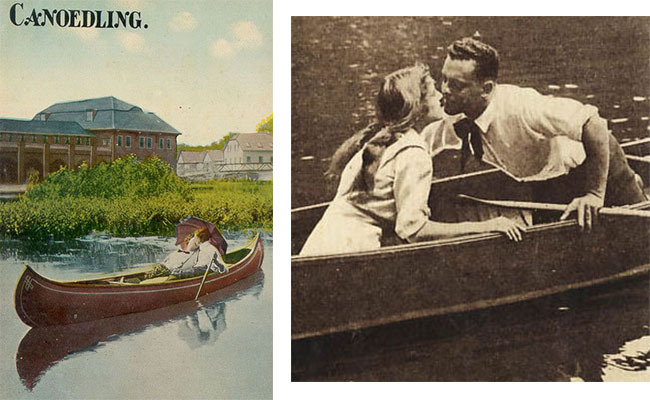 Have you ever been Canoedling? Submit a photo for GRN’s February’s Photo Showcase and Staff Pick! One phot o per month will receive the illustrious title of ‘GRN Staff Pick of the Month’ and the chosen photo’s author will receive a surprise token of gratitude. PADDLE GEORGIA 2013 has SOLD OUT in a record 24 hours! PADDLE GEORGIA 2013 has SOLD OUT!